As a DIY Landlord, Are You Asking the Right Questions to Your Prospective Tenant? Is Lack of Organization Keeping you from Renting your Property? Posted on June 29, 2016 | by franchisee_acpm | Leave a Comment on As a DIY Landlord, Are You Asking the Right Questions to Your Prospective Tenant? As a property management company, we ask tenants the important questions, but we also follow up with the proper credit checks and background reports. 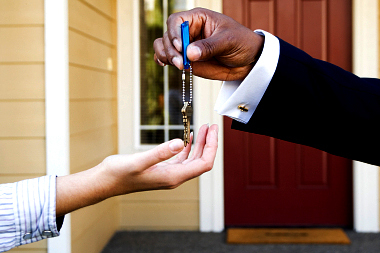 Are you asking these important items if you are trying to do property management on your own? When interviewing prospective tenants, there are some questions you should ask to help determine if the tenant will be a good fit for your property. These qualifying questions can be asked over the phone. If the prospective tenant does not meet your qualifying standards over the phone, it can save you the time of physically having to show the property. It is important that you have the same qualifying standards for all tenants so you are not accused of discrimination. Posted on June 6, 2016 | by franchisee_acpm | Leave a Comment on Is Lack of Organization Keeping you from Renting your Property? At All County Denver Metro Property Management Company, we understand you are busy! We have recently discovered Sarah Krivel who owns Simpler Surroundings, a company that specializes in doing personal organization for those who have acquired too much “stuff” or do not have enough time to organize it. Is a cluttered residence keeping you from renting?? We find this all too often. A property owner has a home to rent out but they cannot seem to declutter it.